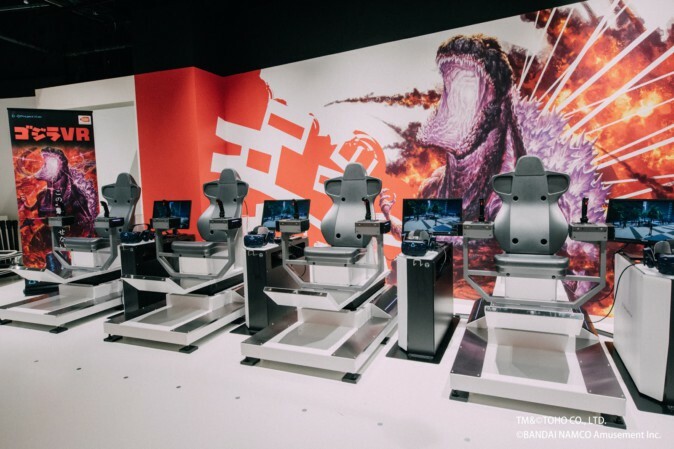 There’s no more befitting place or time for a roll-out of Godzilla VR, Bandai Namco’s latest addition to their Japan-based VR ZONE arcades. After all, November 3rd is Japan’s unofficial ‘Godzilla Day’, annually commemorating the giant lizard’s premiere on the silver screens in Japan back in 1954. As first reported by Japanese VR tech site Mogura VR, the game is launching in Japan on November 3rd, coming to not only the flagship VR ZONE location in Shinjuku, but also the smaller VR ZONE Portals nationwide. Godzilla VR has already been in operation at VR ZONE in Osaka since September. In Godzilla VR, four players sit in motion platforms outfitted with dual flight sticks and HTC Vive Pros, the physical pretense to what looks like an awe-inspiring co-op helicopter battle against the scaly behemoth. 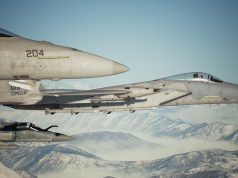 With the launch of VR Zone Shinjuku last summer, Bandai Namco has been using their growing number of Japan-based facilities as staging grounds for some of the best location-based VR content around, including Mario Kart Arcade GP VR and the warehouse-scale PvP shooter Ghost in the Shell: Arise. 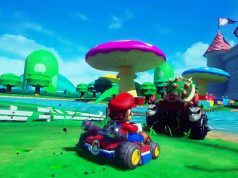 Earlier this month Mario Kart VR, arguably the most hotly-awaited VR experience, made its first steps into the United States with the opening of the VR Zone Portal in Washington D.C., a limited-time engagement nearby the National Mall. We’re hoping to see a similar roll-out of Godzilla VR, because if it’s half as fun as the trailer makes it appear, VR ZONE-goers are in for an awesome time. Like the machines, but the visuals are just crap, from an arcade version I expect more than these visuals. WTF happened to Godzilla?? He’s shooting lasers and his jaw is broken!